Don’t miss the premiere jam fusion group on the planet; kicking off on a run throughout the west coast, hitting a number of festivals, clubs, and concert halls before grooving on over to the east coast, there are many chances to see these masters express their craft. 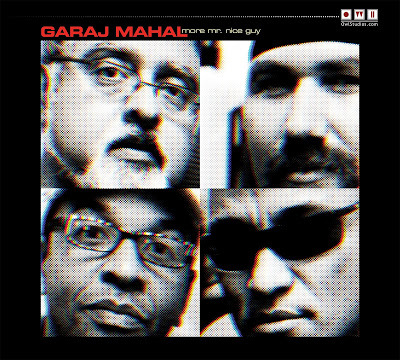 On Friday the 23rd Garaj Mahal will be making their way through the Bay area stretch of the tour, this is your chance to catch an all star lineup of storied and flexible musicians who eloquently weave composition and improvisation into Jazz, Blues, World, Classical, Psychedelic and Rock. Since stepping onto the scene in 2001 they have consistently proven an evolutionary and boundary smashing group. On guitar Fareed Haque a professor of Jazz and Classical guitar studies at Northern Illinois University and master of his craft; the formidable and musically traveled Kai Eckhart on Bass with new drummer Sean “The Rick” Rickman driving the beat and the always funky, always soulful Eric Levy on key’s tying it all together; they set you up for one wild ride down the rabbit hole. This group really enjoys what they do, this is no group of jaded old jazz virtuosos simply running through scales lazily, or even boastfully; if that is what you are looking for then please stay home on Friday night because this you will not see. What you will see is an incredible group of friends that absolutely loves to jam together… Let’s meet the Garaj Mahal family shall we… Fareed Haque is one of the most respected and experienced guitar players and all around musicians on the world stage today, having being named “Best world guitarist” by guitar player magazine in 2009, winning an Independent Music Award for Garaj Mahals Blueberry Cave in 2007, and having had many pieces composed and performed in his tribute, he is as comprehensive in his career as he is in his many talents. He has worked with an impressive array of artists including Medeski, Martin and Wood, Sting, Arturo Sandoval, Edgar Meyer, Summit, Robert Walter, Dave Holland and many more. Manning the bass is Kai Eckhardt, a legend in the world of jazz, having worked with John McLaughlin, Stanley Clarke, Zakir Hussain, Victor Wooten, Bela Fleck, Wayne Shorter, Robert Walter, Larry Coryell, Al Di Meola, and John Scofield, he brings all he has learned and created to the monster that is Garaj Mahal. Kai spends a large portion of his time composing and teaching as well, including a regular stint as a professor at the Jazz School Institute in Berkeley CA, clinics at the Berklee School of Music in Boston MA, and Victor Wooten’s Bass and Nature Camp. While touring and recording with Garaj Mahal Kai continues to play in many projects both of his own creation and others including Summit Feat. George Brooks and Zakir Hussain and RAD feat Rose Ann Dimalanta. The versatility, originality, passion and downright funkiness he brings to the table are truly unique. On keys and synth is jazz prodigy Eric Levy; Eric has extensive classical, jazz and gospel training and performance experience. 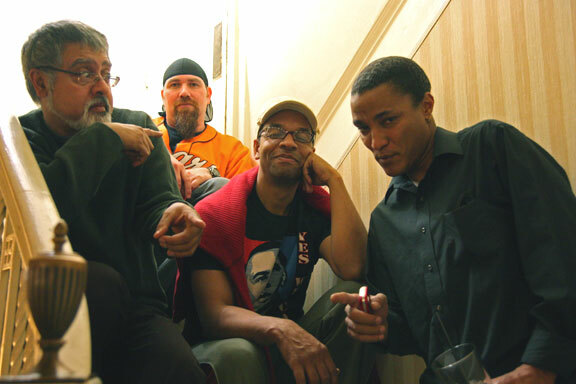 When choosing higher education Levy found himself at Northern Illinois University where he met his new professor, future friend and mentor Fareed Haque, after essentially mastering the keys Eric became active in the Chicago Jazz scene, and eventually The Fareed Haque Group, Galaxy, and Blue Tea Turtle Party, and of course Garaj Mahal. Eric and Fareed’s ability to feed off of each other after all those years of mentoring and learning from each other would make any musician flat out jealous. Driving the band into new creative areas on drums and lead vocals is smooth as silk Sean “The Rick” Rickman. Bringing more rock and roll influence to songwriting and lyrical elements of the band’s live sound and their new album “More Mr. Nice Guy,” he exudes a take no prisoners attitude while on stage, there is an intensity and flare about Rickman that makes you want to hear and see more right away, especially while playing off Kai these two hit intricately sublime grooves that make it impossible to stand still; IMPOSSIBLE! Having toured and recorded extensively with such artists as Dapp Theory, Phil Upchurch, George Clinton, and Steve Coleman, Rickman is no “sit in” he is a serious replacement, Mahalic faithful’s you will not be disappointed, Rickman brings his own presence and expression to the stage and studio just as passionately and openly. For this leg of the tour Garaj Mahal will be Playing at The HopMonk in Sebastopol owned by Gordon Biersch, this tavern is the perfect place to see such a group featuring a mindboggling beer and cuisine selection, incredible sound and an ambiance that just cannot be matched, it is the premiere small music venue in Wine Country and one of the most respected in the Bay Area. You can find more information about Garaj Mahal, the national tour and The Hopmonk at garajmahaljams.com and hopmonk.com. Trinity Tribal stomp is going to be awesome! "Garaj Mahal is one of the most talented and unique bands on our scene. Do not pass up a chance to see this group of virtuosos."